I loved this movie when it came out in 1966, and I still do. I caught it on TV the other day. Has anyone discussed the wacky diving gear they used? Also those suits they wore were styled like wetsuits. I think those masks were an early form of USD wrap-around but they were prone to cracking. Looks like a mashup of sci-fi and deep sea diving! 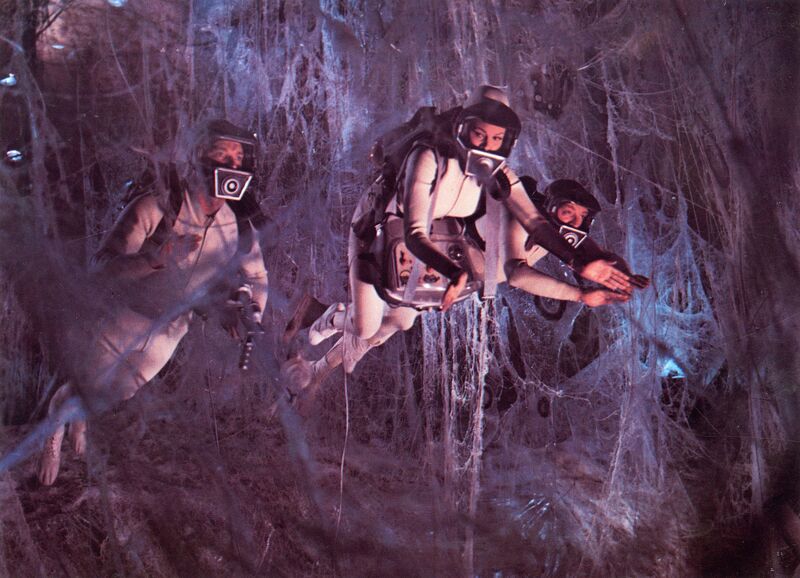 The interesting thing is that Fantastic Voyage was filmed entirely topside, with fake bubbles too. I remember seeing at least parts of it when it came out, and decrying how fake the underwater scenes were.